Has everyone seen what Collabor88 has out this round? It is one killer round, right? ISON has this lovely jumpsuit and dress (dress not shown) out for the August round, inspired by baroque. For everyone who wears the Slink body, ISON would love your feedback on the Flickr comments. You can just click through and you should be able to see what he wants for you guys to do. Feel free to share this post (or the Flickr photo directly) so that the word gets out. 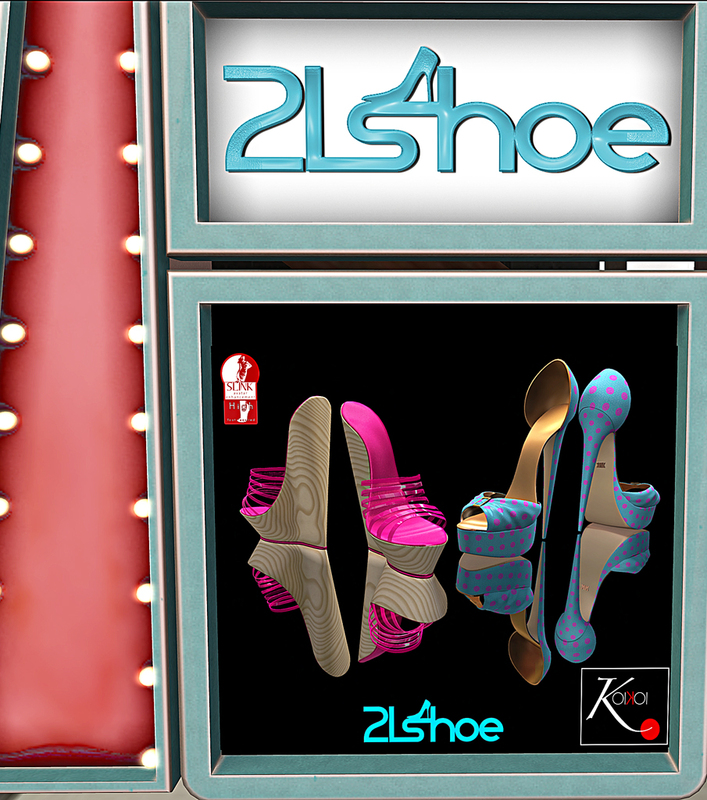 Hey everyone – welcome to the August round of the 21 Shoe event! 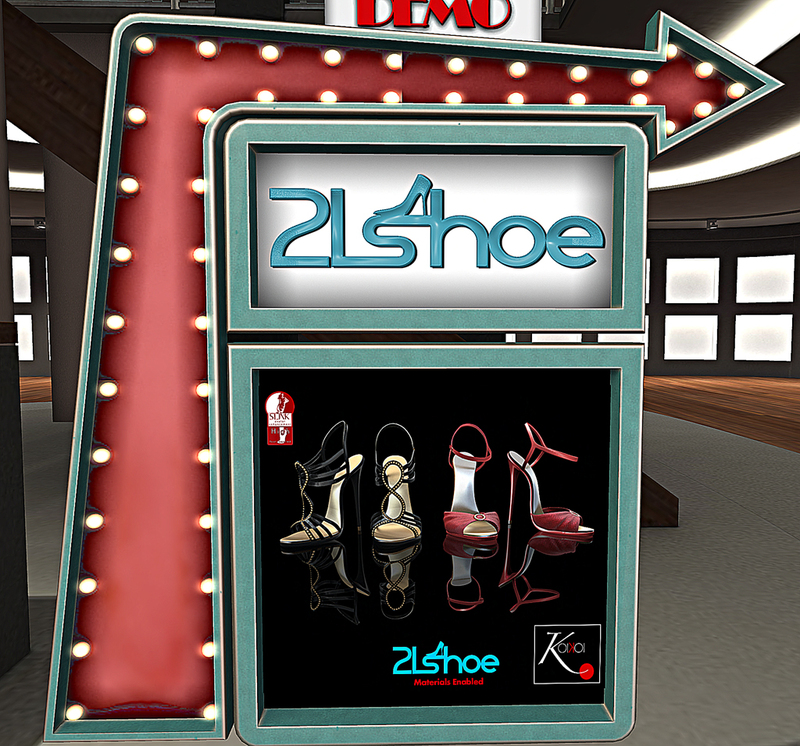 As always, I am showing you what this event has to offer this month, because we all love shoes! This event is for 1 day only, so get to these stores as fast as you can! For this month, there seems to be a variety of shoes – sandals, wedges, boots. The Miranda shoes from L. Warwick have been mentioned a lot as the shoe to get from this round. But you can be the judge as you check out all of the shoes in this round. Happy shopping! 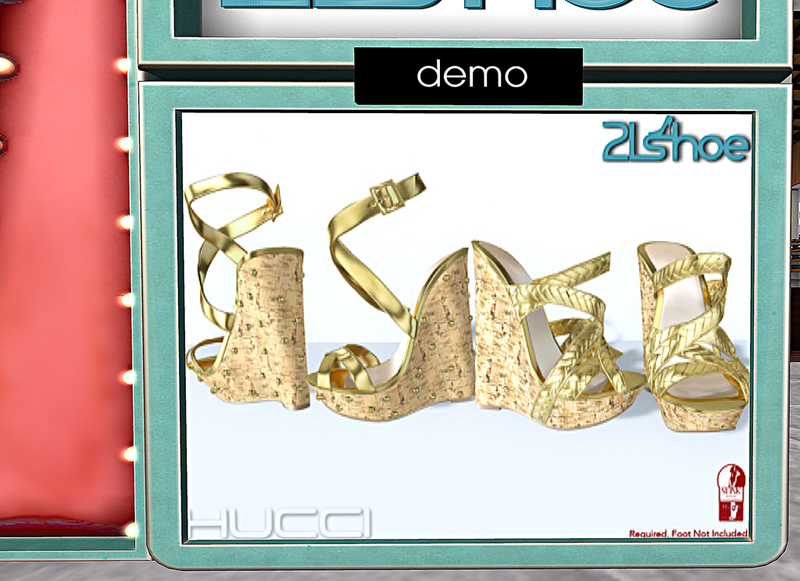 Hey everyone – welcome to the July round of the 21 Shoe event! 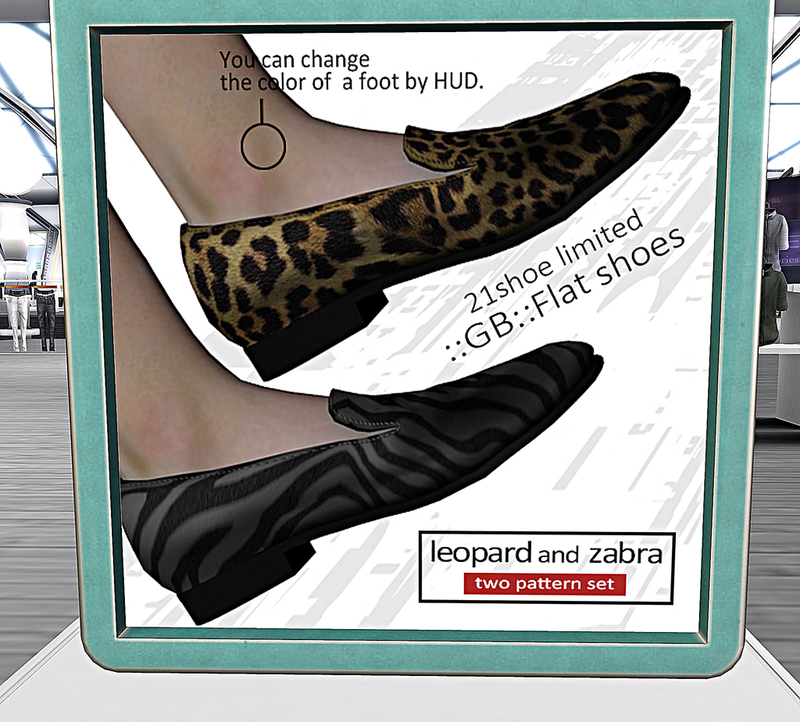 As always, I am showing you what this event has to offer this month, because we all love shoes! This event is for 1 day only, so get to these stores as fast as you can! Hey everyone! I hope everyone enjoyed the holiday (those who celebrate it, of course), and got to eat yummy food and/or socialize 🙂 I stayed at home, but I made what I think is the best burger ever (that I made, anyway). Hey everyone! How is everyone doing on the summer solstice? The summer solstice is when we have the longest day of the year, and the shortest night (in the northern hemisphere, anyway). Also, this marks the first day of summer! So what better way to spend day one of summer than at ghee? For more information, visit the ghee website, and check out to see what else that they have! As some of you may know, I live on a beach sim. Sometimes I get so busy that I don’t take the time to enjoy it – the sun, sand, water, breeze – everything. So as I kick off my shoes and look out into the water, I get a sense of peace and calmness. I even started doing some yoga! This is called the triangle pose. First you start with your legs spread apart, arms out to your sides. The outfit that I am wearing is called the Wanderlust Ripped Shirt and leggings. Both the shirt and the leggings comes with 8 different color options. The fatpack for both comes with a HUD, making it easy to change colors. You won’t need another pair of leggings after this! Also, I am wearing the Kippar hair from Damselfly. Each hair color has a HUD with up to 20 different shades of color. This shade comes from the bubblegum pack, # 608. So, let’s go take a walk on the beach! We need to get our minds nice and zen for all the shopping, right? 🙂 Stay tuned for more previews of Fashion for Life, which opens at 6 am SLT Saturday (which is today!). As some of you may know, I have been cleaning my inventory. While cleaning, I found some makeup from MOCK Cosmetics that looked great. Add some colored mascara to the lashes, and ta-da! I also found this dress from Autres (now closed) in my inventory. I realized that I had blogged this dress before, so I decided to recreate the look and pose (seen in the first photo). I also took another photo as well. My lil’ buddy’s been palling around with me for the last couple of days – he is cute! Yes, I am calling it a he – seems male 🙂 But yes – all of these items can be found at this month’s Arcade. I am happy that I was able to get most of my items from yard sales. I think the only machines I played significantly were Zaara and Hucci (and it still didn’t give me the snow jet ski – Bunny had to give that to me pfft). I got one of the Zaara rares (peppers), and I got another rare (spoons) for only 250L! As much as I like the food, I am not that into playing the machines again just to get another rare. Before I go, I want to talk about the sim where I took these pictures briefly. For those who are always looking for the next good sim to take photos, this place allows scripts and rezzing. And it’s not crowded at all, so I encourage you to stop on by. Thanks, Kylie! Hey everyone – welcome to the May round of the 21 Shoe event! Can you believe that it’s May already – phew! 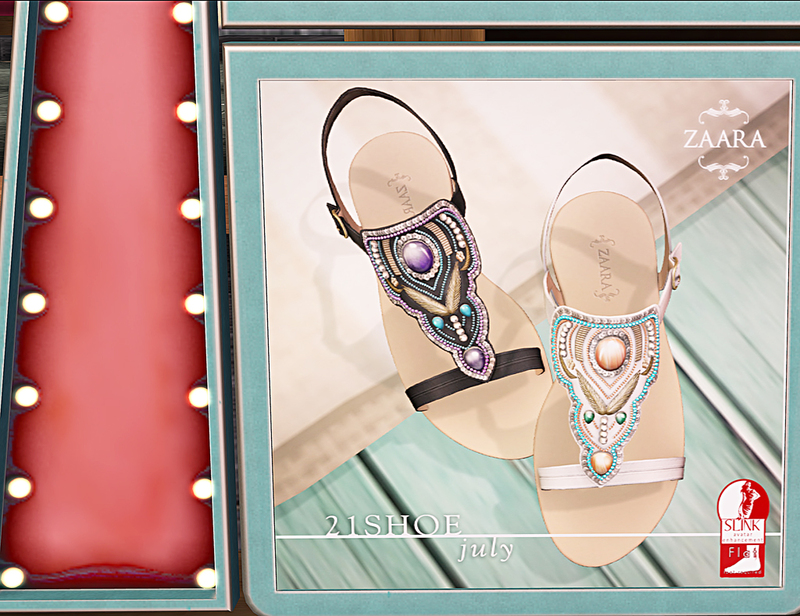 As always, I am showing you what this event has to offer this month, because we all love shoes! This event is for 1 day only, so get to these stores as fast as you can! I have noticed this month that rockabilly seems to be showing up in SL fashion, especially at Collabor88. I saw some cute shoes from Hucci there and I thought about pairing the shoes with this lingerie from Blacklace.